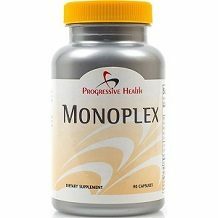 Today we are reviewing a product called Progressive Health Monoplex. The maker’s of this product claims that this supplement can act as a remedy for canker sores, thereby reducing the number and duration of canker sores. The product should not only treat existing outbreaks but also help to prevent future occurrences of canker sores. Zinc works with certain enzymes in your mouth to help soothe canker sores and promote tissue healing. Vitamin B-12 provides the sufficient levels the body needs to prevent the recurrence of canker sores. Lysine helps to suppress outbreaks and promote natural healing of canker sores. The ingredient is also known for helping combat cold sores and fever blisters on lips. This product lacks Benzocaine which is a highly effective ingredient known to provide anaesthetic qualities. The inactive ingredients in the product are Hypromellose, Rice Powder and Magnesium Stearate. The recommended dosage is 3 capsules daily. The manufacturer does not mention if the capsules should be taken with food and water, or if it’s ok to take all three capsules in one sitting or if they should be spread out throughout the day. You can purchase this product from the manufacturer’s website where it costs $34.95. This buys you a 90 capsule bottle which is a one month supply. Shipping is an extra charge of $2.95 within the U.S. There are no incentives for new customers. There is a bulk rate available that if you buy 4 bottles you get 2 free and this includes free shipping. The manufacturer provides a generous guarantee that is valid for 180 days. This does not include the option to return opened bottles of capsules. In concluding our review of Progressive Health Monoplex, we have some encouraging things to say about it. The manufacturer provides a generous guarantee that is valid for 180 days. The ingredient list has some beneficial items like Zinc and Lysine which should help treat canker sore outbreaks. There is a bulk rate available that if you buy 4 bottles you get 2 free and this includes free shipping. On the less positive side, we felt that the product was let down in several key areas. The product lacks Benzocaine which is a highly effective ingredient known to provide anaesthetic qualities. The manufacturer’s guarantee does not include the option to return opened bottles of capsules. There are no incentives for new customers and no discounts for bulk buyers. Pricewise, at $34.95, a bottle only lasts you one month making this an expensive supplement to buy. Shipping is an additional charge. There is no assurance from the manufacturer that the product is made in an FDA certified facility, that it is free from fillers and binders, vegetarian friendly, and has non GMO ingredients. The manufacturer does not mention if the capsules should be taken with food and water, or if it’s ok to take all three capsules in one sitting or if they should be spread out throughout the day. Many reviews that we saw expressed frustration the product was unhelpful in providing any improvement to their canker sores. 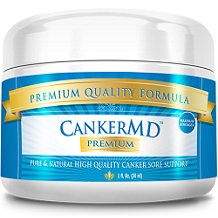 For all these reasons we suggest that you look elsewhere for a canker sore supplement.